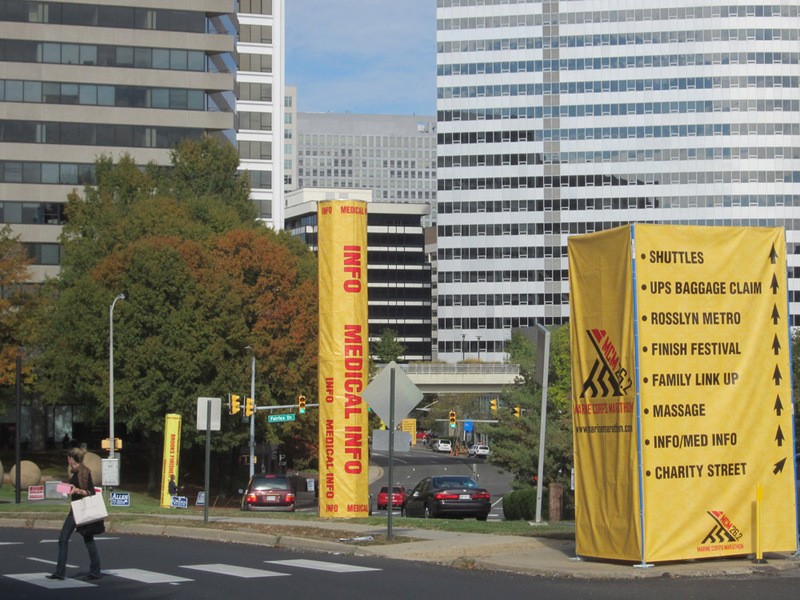 Rosslyn's Marine Corps Marathon will start this Sunday at 8am. After running 26.2 miles, about 30,000 runners will be thrilled to come to Rosslyn, as are many visitors to Rosslyn all year long. Traveling around Rosslyn with an inhuman-powered vehicle will be very difficult on Sunday before 3pm. Here's a list of the road closures. 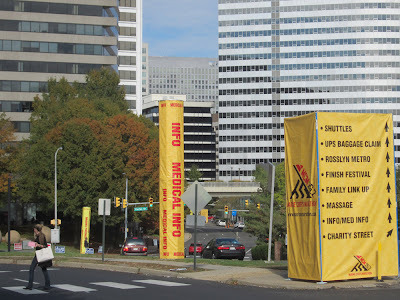 Stay in Rosslyn and enjoy watching the huge Marine Corps Marathon field racing to get to Rosslyn. Update: Here's a map of road closures and detours in Rosslyn.